Theft, drugs, prostitution and violence on Mount Everest. Decades ago only the bravest, most experienced mountaineers attempted to climb Mount Everest. But today virtually anyone can make a bid to scale the world's highest mountain, provided he or she is in tip-top physical condition and has enough money to pay for a permit and high-priced guide. With satellite weather, GPS and high-tech equipment mitigating some of the danger and fixed ropes minimizing the technical challenges, the summit (elevation 29,035 feet) is now a realistic possibility even for a novice mountaineer. This explains why scores of inexperienced climbers are flocking to Everest, all hoping to achieve their dream of standing on top of the world. While the savage, unpredictable weather and challenges of surviving above 8,000 meters (the "death zone”) are still the greatest obstacles to success, one must also be prepared to deal with the stress induced by one's fellow climbers, some of who may demonstrate a "take no prisoners” approach toward reaching the summit. These self-centered individuals have been known to inject performance-enhancing drugs, sabotage or steal the life-sustaining equipment of fellow team members, and even sidestep dying comrades while making their way up or down the mountain. In 2006 journalist Michael Kodas, an avid high-altitude climber, made his own bid to climb Everest while on assignment for the Hartford Courant. 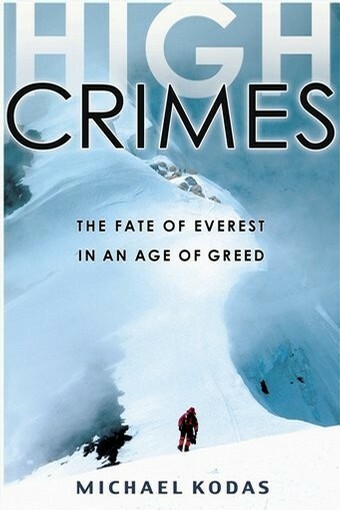 He was so troubled by the unsavory behavior exhibited on the mountain that he penned “High Crimes: The Fate of Everest in an Age of Greed” (Hyperion), which exposes Everest as a place where theft, drugs, prostitution and violence are now commonplace. Failure recently spoke with Kodas about his experience (“I was lucky to escape with my life”), and why it's vital that the public gain a better understanding about the peak locals call Chomolungma. Why do so many people feel compelled to climb Mount Everest? Around the world people see Everest as the ultimate measure of human accomplishment. Since we've decided to measure everything on the planet against Everest there's a group of people that feel incomplete without having climbed it. Consequently the majority of the people that go there aren't seasoned mountaineers. Many of them have no interest in climbing any mountain other than Everest. The tone of the books written about Everest has changed dramatically over the years. The books used to be about man vs. the mountain; now the focus is on the hazards posed by fellow climbers. How has climbing Everest changed in recent decades? Every year climbing the mountain becomes easier. That's not to say that it's an easy endeavor. But commercial expeditions now fix miles and miles of rope and put ladders across every challenging crevasse. They also use satellite weather to predict the weather and GPS to monitor everybody. In this way, they have pared down a lot of the obstacles that would have been quite formidable 50 years ago. However, that's balanced out by the fact that there has been a huge increase in the number of climbers, and many of them don't have the traditional skills that mountaineers used to have. You can put a ladder across a crevasse so that everybody can get across it, but should that ladder fail or somebody falls into that crevasse, the odds that the people around that climber know how to do a crevasse rescue are quite slim. Isn't it ironic that the infamous 1996 tragedy seems to have attracted more climbers to the mountain? It is ironic. A lot of mountaineers thought that the 1996 disaster and particularly Jon Krakauer's book about it [“Into Thin Air”], would be a cautionary tale—that it would make people think twice about heading to Everest or any other 8,000 meter peak without a lot of climbing experience. But the opposite proved to be true. In your estimation, what are the three greatest dangers a climber now faces on Everest? The first danger is the traditional danger of the weather and the altitude and how your body adapts to the altitude. The second issue is crime—particularly theft. A lot of the crimes committed on the mountain might sound petty to someone sitting at sea level, but a climber can get into very dire straits for want of a stove or a three dollar bottle of stove fuel. Generally thieves go after the most expensive climbing gear—oxygen tanks, sleeping bags and tents—the most valuable things for preserving human life. Teams are now going so far as to post sentries in their camps to make sure that no one makes off with their gear. The third challenge is the crowding. It's not uncommon to be on the climbing route with a hundred other climbers. And if you are all clipped in to the same rope [and] following the same path, if any one climber has trouble or is incompetent it can stop everybody in their tracks. 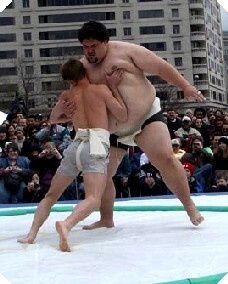 Any problem that one person has tends to roll like a domino through every team that is behind them. When did climbers begin using performance-enhancing drugs on Everest? That has come about in the last ten years. It started with Dex [dexamethasone], which is a drug that climbers generally carry in case of emergency. Most teams bring it on their summit bids so if someone gets altitude sick they can give it to them, as it tends to stave off the worst of the symptoms. But what happened is that climbers began using Dex—injected and orally—as an aid in getting to the summit, rather than just an emergency drug. Climbers began taking Dex before they started their summit bids rather than having it with them in case they got sick. But if you are fighting off the ravages of altitude using artificial means, as soon as that drug wears off you are going to get hit that much harder. Instead of having a gradual if rapid descent into pulmonary edema [abnormal accumulation of fluid in the lungs] or cerebral edema [swelling of the brain] you can literally crash. That can put everyone around you at risk. Climbers have also admitted to using EPO [erythropoietin]—one of the drugs that has been the scourge of the Tour de France—as well as any number of steroids. Technically it's not illegal to use them or have them on the mountain so people have been open about the fact that they have them. What are some of the greatest misconceptions the public has about Everest? Every year we have more and more documentaries and stories about this person or that person going to Everest. People that are raising money for their climbs pitch this idea that climbing Everest is this noble adventure—a group of like-minded people all helping each other out—and that is inaccurate. It's a very cutthroat game, with climbers hoarding resources and sometimes stealing from one another. Another misconception is the idea that the biggest problem on Everest is how much trash is up there. Climbers have been pretty effective at cleaning up the mountain and yet every year expeditions court money from corporate sponsors—often a lot of money—promising to clean up places that are really not that dirty anymore. There's a great irony in that, particularly in a place like Nepal. You are dealing with the poorest country in South Asia and hundreds of thousands of dollars are sometimes committed to lugging a few pounds of trash off that mountain, when in villages all around it you have some of the worst environmental problems in the world. Even some of the most jaded climbers find that to be very frustrating. Do you have any advice for people who dream of climbing Everest? Be honest about your motives. Do you love the sport and really want to climb Everest because of the climbing involved? If so, more power to you. But so many people go there and all they see is being able to write, “Climbed Mount Everest” on their résumé. They don't have any interest in the two months of suffering and work that goes into it. That's not necessarily a good motive. What else can be done to improve the situation on the mountain? For everybody that doesn't want to climb Everest but is interested in the mountain or adventure sports in general, be very aware about where you focus your interest. If you are going to give money, be careful which expeditions and ventures you support, and make certain the people you support are doing what they are supposed to be doing. Step back and consider whether giving money to someone climbing Everest is the best way you can support finding a cure for cancer, for instance. The thing that really bothers veteran mountaineers is that you have all these sponsored climbers on Everest, while really good climbers can't find support for the first ascents they are doing, often in very remote places. The best thing the general public can do is to broaden their horizons. If you are interested in mountaineering then look into some of the really incredible exploratory climbs that are being done. In the book I write about the 50th anniversary season on Everest  when Damian and Willie Benegas put up a new route on Nuptse (elevation 25,790 feet). There was a massive amount of attention on Everest because it was the 50th anniversary of the first ascent while on the mountain next door two guys were doing a daring, alpine style ascent of a really hard and incredibly bold new route. What the Benegas brothers were doing was beyond what anybody on Everest was doing, both technically and as far as the danger involved, yet nobody wanted to hear about it. Does the upcoming summer Olympics present an opportunity to exert pressure on China to address the situation on Everest, in much the same way China has been pressured about Darfur? It does to some degree. China is sending the Olympic torch to the summit so maybe it presents the opportunity to look at the mess on the flanks of the mountain while the torch is on top. A lot of what is happening on Everest has very little to do with what the Olympics are about as far as sportsmanship and the kind of camaraderie that the Olympics are supposed to promote. The reality is that if we as athletes are going to continue going to remote wildernesses in the developing world then we are going to be confronting human rights issues. There was an incident on a popular mountain near Everest called Cho Oyu (elevation 26,906 feet) where a Tibetan nun was killed when Chinese military opened fire on Tibetan refugees that were trying to cross into Nepal. Many mountaineers on Cho Oyo witnessed this, and some of the Western climbers tried to silence witnesses and keep them from talking about it. Some people felt these climbers wanted to preserve their business relationship with the government and were afraid that if anyone spoke out about the atrocities that China would limit the number of permits and make it more difficult to make a living there. What do you expect from climbing season on Everest this year? It's going to be very interesting because of the Olympic torch. There has been a lot of talk about China limiting access to the mountain. As to whether that will all happen I don't know. China has been loath to give up the income that they get from climbers coming to Everest. Also, I'll be very curious to see how many spectators show up to be a part of the spectacle of taking the torch up the mountain. There is now a hotel near base camp and a road that goes all the way to base camp, so they have the infrastructure to bring in bleachers full of spectators to watch the shenanigans. That could add a distinct complication to the upcoming climbing season as well. How do you think the climbing world will react to your book? I think it's going to be mixed. One of the problems I encountered—and this is common with a lot of sports—is that there is something of a code of silence. A lot of mountaineers who aren't part of the problem aren't happy being written about because they think it casts a negative light on the sport and that it will dry up sponsorship. That said, I had a number of mountaineers—some of them quite well known—who initially were not interested in talking to me, but after a few months changed their mind and said, "Actually, there are some things I think you should know.” Himalayan mountaineers may be getting sick of dealing with all this stuff and coming to the realization that the only monitoring they are going to have is amongst themselves. My hope is that not every climber will want to throw fruit at me. If you had the chance to go back and climb Mount Everest again, what would you do differently? I would be quite diligent about looking into the backgrounds of the people I'd be climbing with, and I'd certainly plan knowing that there are a lot of people on the mountain who don't behave. You need to be just as prepared for the challenges presented by your fellow climbers as you are by the challenges presented by the mountain and the weather. 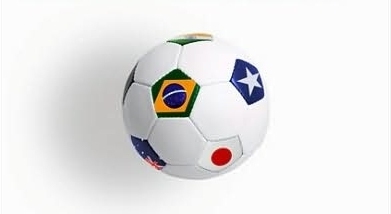 Soccernomics—Journalist Simon Kipur and sports economist Stefan Szymanski team up to dispel myths about the worlds most popular sport.